BUF030A is a specialist coating buffer for use in all ELISA formats. Designed to stabilize the tertiary structure of the antibody or antigen and maximize adsorption onto polystyrene plates. It is especially effective in sandwich ELISA, preserving the antigen recognition regions of the coating antibody, allowing greater binding reactivity. BUF030A contains an antimicrobial agent allowing coating to be performed at room temperature. Dried plates can be kept at 4°C for long term storage. This product should be stored undiluted. Should this product contain a precipitate, heat gently until dissolved. Do not boil. 1. Dilute the required volume of BUF030A 1:5 with deionised water and mix for 5-15 minutes to prepare the working solution. 2.  Add antibody or antigen to the working solution and mix for 5-15 minutes. 3. Coat plate (suggested volume 100-200µl per well) and incubate at room temperature for 6-24 hours, protected from light and covered to avoid evaporation.